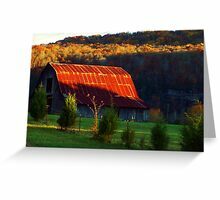 Arkansas Barn in a very low setting sun…. which the low setting sun had already done a wonderful job with this scene already. So I didn’t have to saturate the colors but just a few tweaks. and I will gladly upload the large file for you. Wow, wonderful light on that red roof and the trees. I don’t know Gimp2 at all. Is there a cloning tool, or something that’s called repair? I cropped 4 lines of barbed wire out of my “The Panda Cow”. It took a little time, but it was worth the effort. Wish I could be of some help! Is it on your RB? If so pop a link here to it if you like, thats fine by me, and then I can find it easy too…. with my slow dial up! hahaha alteriour motives LOL! I don’t have the pic on hear but a link to where I haver it. Pretty sure it’s the same barn. 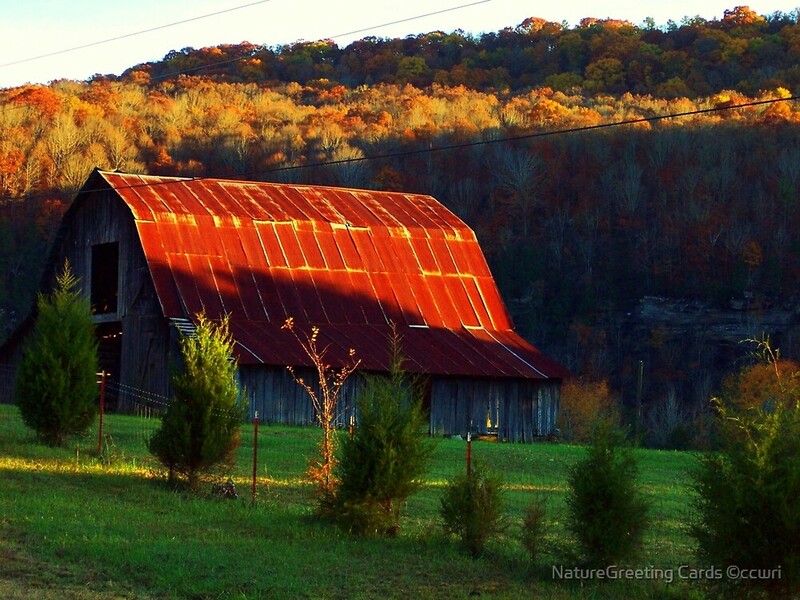 Its the exact same barn….and a very beautiful capture. The only things different are the cedars, and the little trees in the fence row…… GREAT SHOT!!!! Very cool barn! Great lighting!